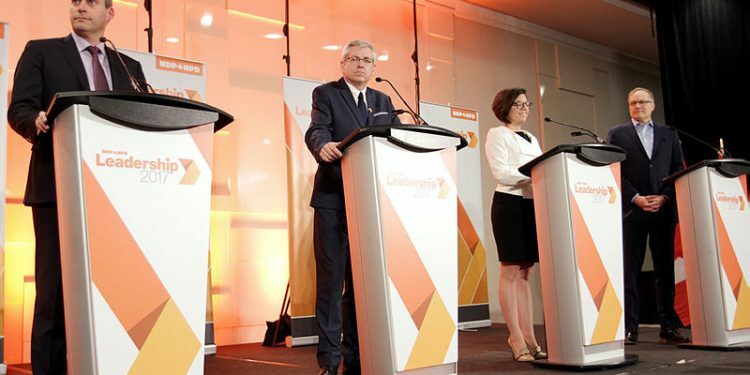 Plus five other things we learned about the NDP leadership race from the latest fundraising numbers. 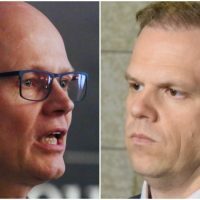 Provincial and territorial NDP leaders are beginning to play a role in the ongoing leadership race, the latest fundraising numbers show. 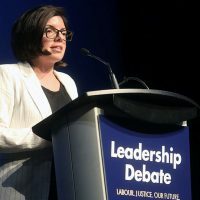 Niki Ashton (Churchill-Keewatinook Aski, Man.) has earned the support of the interim provincial leader in her home province, Flor Marcelino. Ms. Marcelino made a $200 contribution to Ms. Ashton’s campaign on March 11. 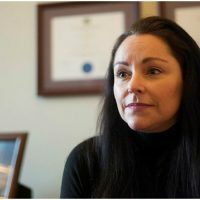 “She’s a Manitoban, I’m a Manitoban, I’m supporting Niki because I believe she’s highly qualified, and she’s a woman too, like myself,” Ms. Marcelino said, when asked what led to her decision to support Ms. Ashton. She said any of the candidates currently in the race “will make a superb leader.” But, Ms. Ashton has her first ballot. 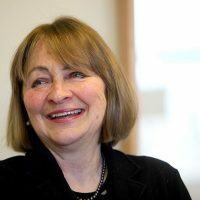 Leader of the Yukon NDP Elizabeth Hanson has decided to put her support behind Charlie Angus (Timmins-James Bay, Ont.). Ms. Hanson made a donation of $500 to Mr. Angus’ campaign on March 3. 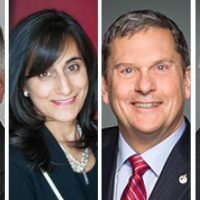 She told The Hill Times in an interview Monday that the Yukon NDP have had the chance to meet four of the five candidates over the last few years, as all four MPs in the running have made their way up to the territory for the local convention at some point or another. But “over the last few years,” Ms. Hanson has been “watching and engaging with Charlie on a number of issues,” and she said he has the heart of a social democrat. She believes he will be best for the Yukon because of his commitment to reconciliation, and understanding economic inequalities that are only amplified in the North. Ms. Hanson said she’s “in the process of thinking through” what form her support for Mr. Angus will take, but she said she has a lot of respect for him. “It’s interesting because oftentimes people will dismiss the North,” she said, simply because sparsely populated areas equal less votes. “We have seen historically how we can punch above our weight in that way,” she said. Mr. Angus also received two donations from Mary Beckett, a business owner in the Northwest Territories. 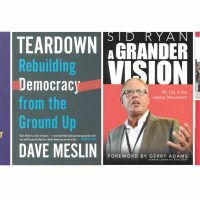 The NDP leadership race doesn’t factor ridings into the mix, as the Conservative leadership race does. Each vote is equally weighted, and the first candidate to attain 50 per cent plus one of the vote will win. 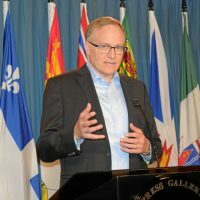 Pat Stogran entered the NDP leadership race last month, meaning his fundraising total so far was not included in the first-quarter 2017 results published by Elections Canada last week. Ms. Ashton only entered the race on March 7, weeks before the first quarter of 2017 came to a close at the end of the month. 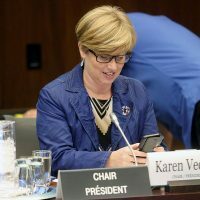 She still managed to raise $65,521 from 508 donations, putting her ahead of Guy Caron (Rimouski-Neigette-Témiscouata-Les Basques, Que.) 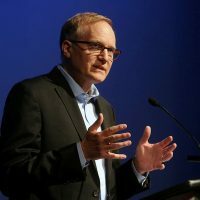 who raised $57,235 from 248 donations, and Peter Julian (New Westminster-Burnaby, B.C.) who raised $19,143 from 217 contributions. 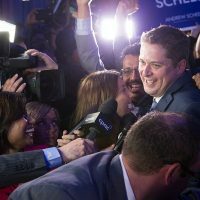 Mr. Angus still had her beat with $110,765 from 854 contributions. “In just 24 days we raised a significant amount of money, from a significant amount of donors, which I really think speaks to the grassroots nature of our campaign,” Ms. Ashton said in an interview. Asked how she managed to raise the amount of money she did, Ms. Ashton credited having a “heavy online presence,” and tying fundraising outreach to her campaign launch and the issues she was speaking to in debates. Another factor in being able to raise so much so quickly was Ms. Ashton’s contribution to her own campaign in the amount of $25,000, which she made on March 10, three days after the launch of her campaign. 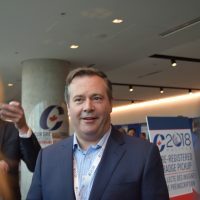 According to Elections Canada rules, candidates are permitted to give $25,000 in “contributions, loans, and loan guarantees” to their own campaign. 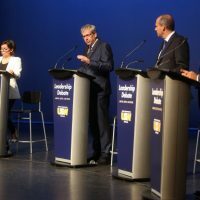 Ms. Ashton said she put the money up right away because she wanted to ensure she had paid the $30,000 entry fee that the NDP Party requires to be officially in the race. She entered the week before the first debate, so if she didn’t pay the fee right away, she would not have been able to participate. Mr. Caron is the only other NDP candidate who donated to himself in Q1, also giving $25,000. 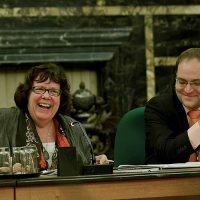 NDP MP Sheri Benson (Saskatoon West, Sask.) donated $1,500 to Ms. Ashton’s campaign on March 10. Ms. Benson’s office declined to comment, though Ms. Ashton’s campaign confirmed it was in fact the MP who made the donation. 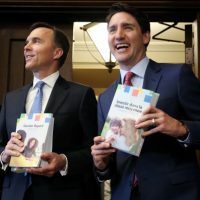 Another notable donor to Ms. Ashton’s campaign is Ontario MPP Cheri DiNovo, who entered the race early last summer, only to drop out in August after suffering two mini strokes. Ms. DiNovo gave $1,500 to Ms. Ashton’s campaign on March 29. Quebec NDP MP François Choquette (Drummond) donated $500 to Mr. Julian’s campaign in Q1. Mr. Choquette was one of four Quebec NDP MPs to endorse Mr. Julian soon after he announced he was running in February. Mr. Choquette gave $100 to Mr. Julian in December, when Mr. Julian was the only person registered to run in the leadership contest, but had not yet announced his candidacy. Quebec MP Pierre-Luc Dusseault (Sherbrooke) gave $1,000 to Mr. Julian on the last day of Q4 in 2016. He has since endorsed Mr. Julian, though isn’t listed as having given to his campaign in Q1. 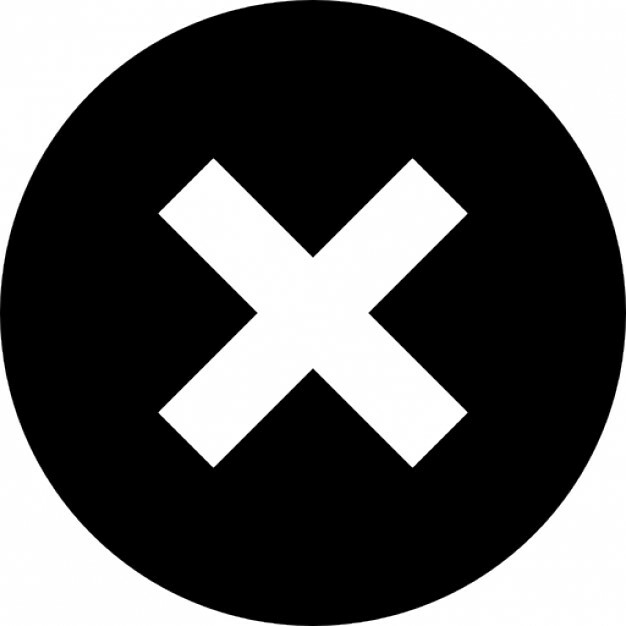 That means that in British Columbia and Nova Scotia, the candidates haven’t been allowed to solicit donations. 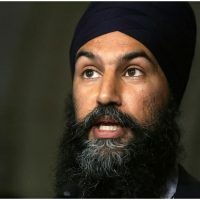 After yesterday’s election in B.C., many NDP supporters are now fair game. That could have a positive impact on Mr. Julian’s campaign, as B.C. is his home province. 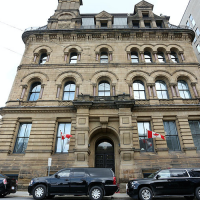 In Nova Scotia, candidates can’t ask for money until after the provincial election on May 30. Gina and James Barber are long-time NDP supporters in London, Ont. who happen to have won $3.8-million in the lottery in 2011. She donated $500 to Mr. Angus’s campaign on March 24, and $250 to Ms. Ashton on March 28. And while it wouldn’t have been included in Q1, she said she also gave $250 to Mr. Caron at the beginning of April. Her husband also gave $500 to Mr. Angus on March 24.